Does connecting with your customers feel like a shot in the dark? It may be time to consider meeting them face-to-face during a trade show. Trade shows allow businesses to go beyond the confines of traditional marketing and connect directly with customers and prospects. Discover the benefits of trade shows and how to convince your boss to give face-to-face events a shot! Trade shows present the unique opportunity to build face-to-face connections, drawing from a targeted audience of decision makers and professionals within your industry. Stepping outside of the confines of digital marketing and remote sales efforts provides a valuable insight as to how customers interact with products and services, allowing you to meet their needs on an individual basis. While trade shows can be a significant investment, there are a multitude of benefits that can boost your brand presence, increase sales and establish customer loyalty. We will explore a few reasons why trade shows are the best way to connect with your customers. Be on the lookout for trade shows that are highly relevant to your industry to guarantee qualified leads and interested attendees. Oftentimes, industry professionals are motivated to attend trade shows because they enjoy being on the cutting-edge of latest technology, tools and advancements. Thanks to this, attendees generally have purchasing power and are willing to try something new. Invest in a badge scanner to simplify the lead-gathering process. Offer trade show pricing to incentivize attendees to close the deal on the show floor. Successfully close sales and generate leads in a relaxed face-to-face environment. Personally meet with existing customers to strengthen brand loyalty. Create lasting business relationships with other vendors and industry professionals. Small businesses can use trade shows as a platform to spread the word about exciting company news, products and promotions to gain valuable exposure. While a large exhibit may not be in the budget, a smaller 10’ x 10’ exhibit can have a big impact using smart design elements like kiosks, counters and product displays. Larger companies can make an impact as an industry leader by creating a spacious exhibit that includes powerful design elements like hanging structures, bold graphics and interactive displays. Consult with a trade show expert to learn the best practices for create a huge impact on the show floor. Additionally, it’s the perfect chance to stay on the cutting edge of industry news, research and product development. Attending seminars or presentations is a simple way to stay up to date on the latest industry trends. Every business relies on a community of other businesses to some capacity, and trade shows bring related companies under one roof. If you take the opportunity to meet other industry professionals, then you will likely discover ways that your companies can benefit each other. For example, manufacturing companies oftentimes need to enlist a logistics company to ensure that products will arrive on time and intact. Meeting other vendors provides the opportunity to build lasting business partnerships, long after the show is over. Trade shows are the ultimate networking opportunity, so definitely don’t miss out on the opportunity to walk around and meet your neighbors. Learning more about other companies and their products will help you understand where your company fits in the big picture. Trade shows present the unique opportunity to receive real-time feedback on your products and services. Understanding how customers interact with your brand provides valuable insight that will help your company improve and customized marketing efforts. Be sure to listen to current customers as well as prospects, to understand how customer’s needs can be met at every step of the buyer’s journey. Once you’ve decided to give trade shows a shot, it’s time convince your boss that this is the right move for your company’s marketing program. 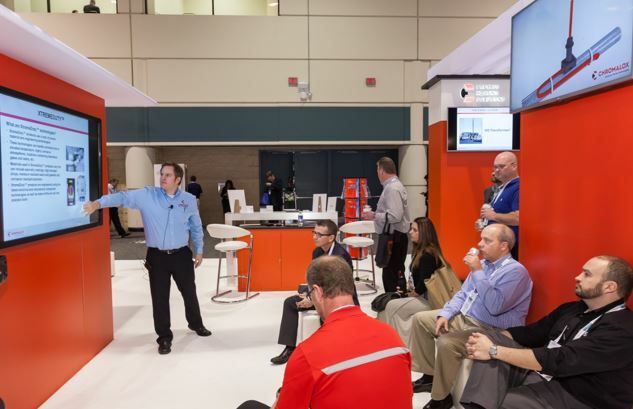 Follow this list to effectively communicate benefits of trade shows with your team. Before diving into the details, it’s important to research trade shows within your industry. Exhibiting at the right show is crucial for connecting with your target audience. If your company has a wide range of products and services it is important to cater your strategy to suit the attendees’ specific needs and interests. How important is this show to your industry? Are your direct competitors exhibiting? Have large companies or big industry players attended this show in the past? Is the show local? Local shows reduce extra travel and shipping costs. Setting concrete goals prior to planning for a trade show ensures that the results will be easy to measure. Goals should be closely tied to larger business objectives, like increasing sales or creating buzz around a new product. Once there is a clear goal, set quantifiable benchmarks that will help you define success and improve your strategy during future shows. Go into the meeting prepared to give an overview of the benefits of trade shows, but keep the focus on ways that trade shows will help your company reach business goals. For example, if the business goal is to increase sales then focus on how face-to-face marketing allows sales staff to reach customers directly. 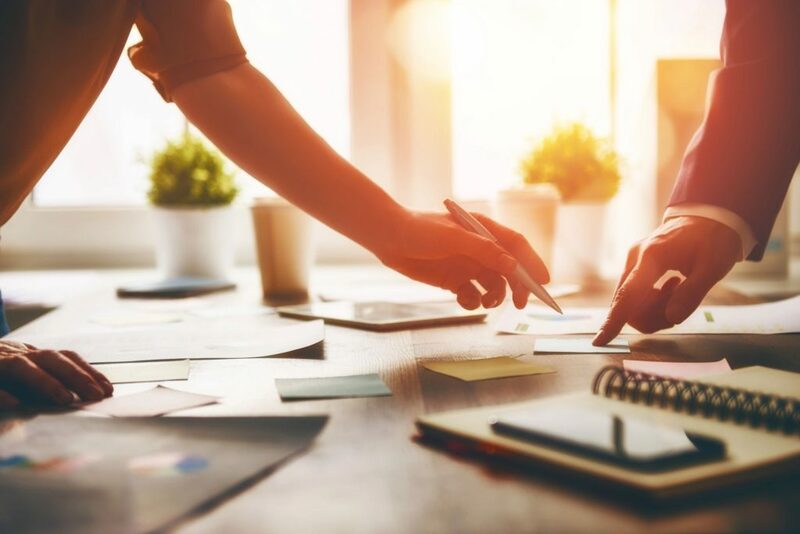 Emphasize why face-to-face marketing matters and how you plan to utilize the opportunity to further those big picture goals, increase brand visibility and connect with your industry. Present each trade show benefit as a direct investment into the health of your sales and marketing outreach. Be sure to set clear goals for the show that will help you and your boss measure the success of the show. Communicating the value alongside the cost will allow you to justify the investment, and quell any initial skepticism. 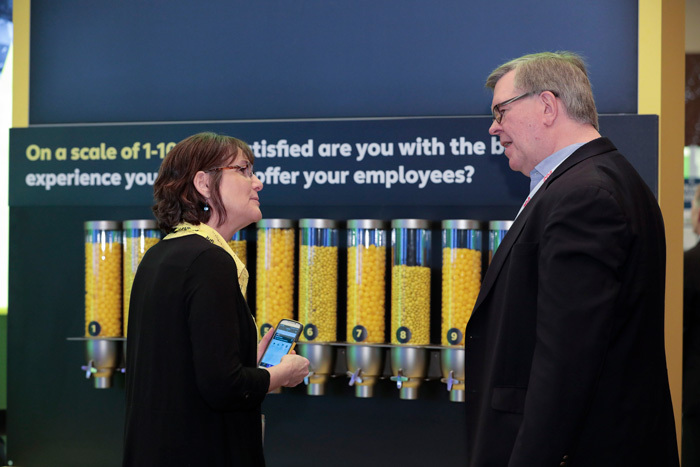 Your boss wants to see the numbers, so here’s a quick list of trade show statistics to share about the power of having a presence at an industry trade show (SageWorld.com). 46% of executive decision makers made purchase decisions while attending a show. 76% of executive decision makers asked for a price quotation at the last show they attended. 77% of executive decision makers found at least one new supplier at the last show they attended. 92% of tradeshow attendees come to see and learn about what’s new in products and services. The cost of a face-to-face meeting with a prospect at a tradeshow is $142. The cost of a face-to-face meeting at a prospect’s office is $259. Over 50% of the trade show’s attendees are there for the first time. Since new players in the industry emerge each year, a tradeshow is an ideal place to meet these people. 51% of tradeshow attendees requested that a sales representative visit their company after the show. 70% participate in trade shows to strengthen relationships or partnerships. 65% attend to see current clients – it is harder to get face to face time with clients. 58% like to see colleagues and vendors, catch up on the industry trends, and strengthen their networks. Stay on track as you begin to plan for your first trade show with Nimlok’s ultimate Trade Show Checklist. This free resource outlines common “to-do” items in the months leading up to and after an event. From reserving a booth space to promoting your presence at the show, this checklist will help you tackle the trade show planning process. Nice ideas! Fantastic post! This is very informative and has some very interesting points! Exhibit business can be the best idea as thee is much benefits of it, customer and provider meets face to face as customer show their requirements. above post is very informative thank you so much for sharing it.